Join us on a ridge line traverse of the Northern Presidentials along the AT. 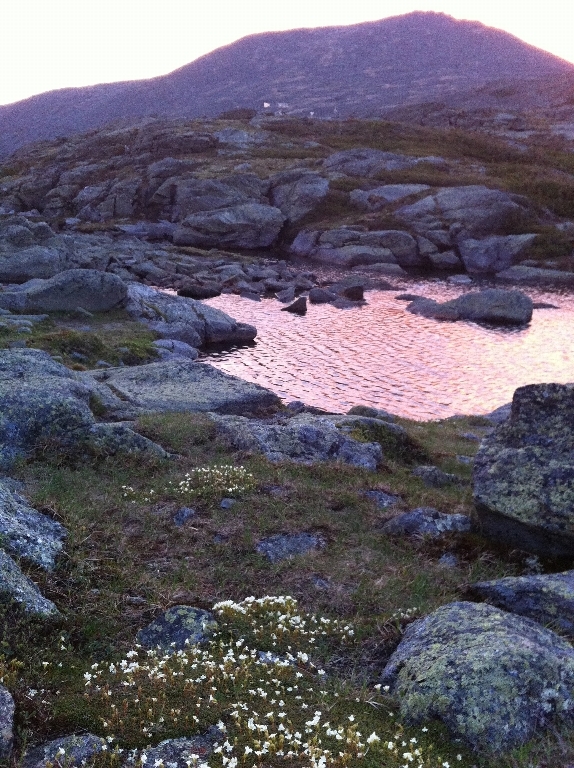 We will stay at AMC's rustic mountain huts: Madison Spring Hut, Lakes of the Clouds Hut, and Mitzpah Spring Hut. We hope to summit Mt Madison, Adams, Jefferson, Clay, Washington, Eisenhower, Pierce, Jackson, and Webster weather allowing. Enjoy vast mountain views in the company of like minded hikers! We will hike following the AT (Appalachian Trail) from Pinkham Notch to Crawford Notch. We hope to give you the opportunity to hike the summits or you can choose to strictly hike the Appalachian Trail as it leaves Pinkham Notch and winds through the Northern Presidential Range to Crawford Notch. Our approach will include ascending the steep Osgood Trail and descend following the beautiful Webster Cliff Trail. And in between... nothing but awesome views! The three rustic AMC huts that we will stay at are distinctly different. They are run by the fun loving "croo" who will serve us home made family style dinners and breakfasts. Successful applicants will be strong hikers who enjoy endless open scenery, variable weather, and the camaraderie of fellow hikers. Lodging three huts: Madison Spring Hut, Lakes of the Clouds Hut, Mitzpah Spring Hut. Three Dinners and Three Breakfasts at huts prepared by the hut Croo.